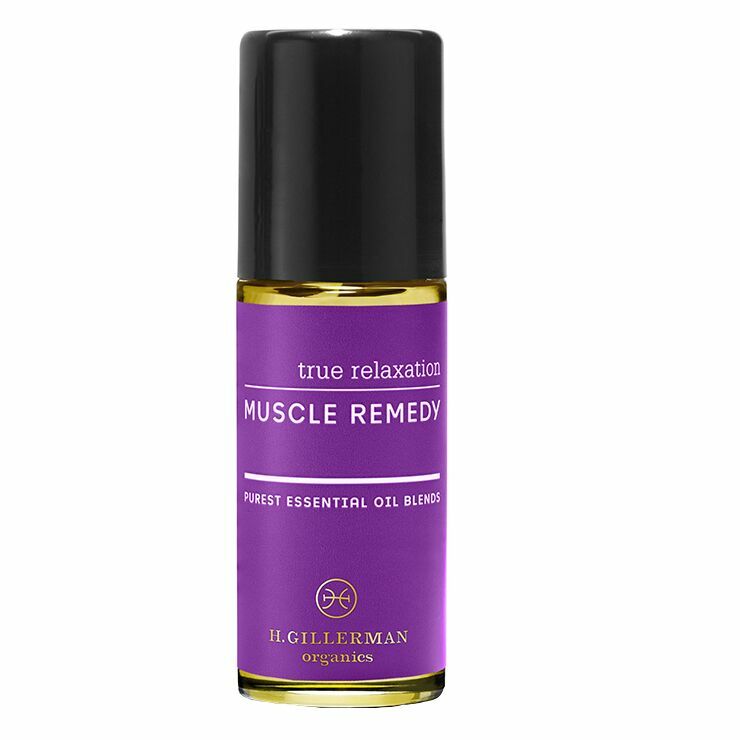 Tight muscles, tension, and pain get a feeling of relief with H. Gillerman Muscle Remedy. A blend of carefully selected essential oils combine to offer a sense of soothing and relaxation when the body is uncomfortable or under stress. A warm, spicy scent lends a calming feel to mind and body. 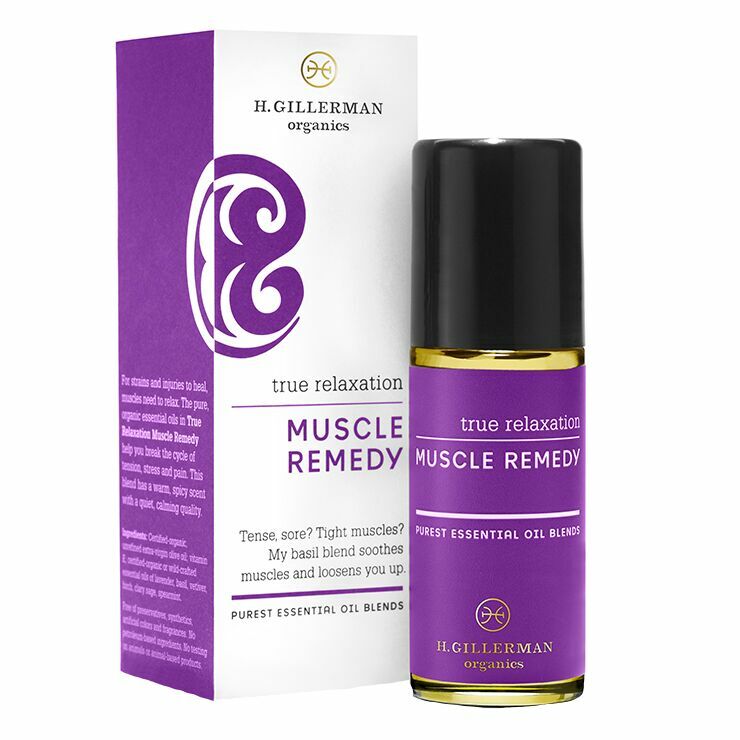 Apply oil blend to pulse points throughout the day to relieve feelings of muscle strain and body pain. Unrefined Extra Virgin Olive Oil*; Essential Oils Of Lavender*, Sweet Basil*, Vetiver *,Birch†, Clary Sage*, Litsea Cubeba†; Non-GMO Vitamin E, Essential Oil Of Spearmint*.